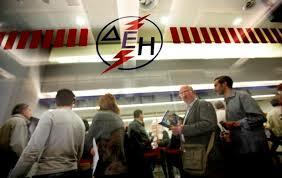 Electricity retailers are examining the prospect of creating a customer profile sharing network, along the lines of an informal system being used in the telecommunications sector, to safeguard them from increased market dangers and a rising level of bad debts. Independent electricity company officials have already discussed the plan and have reached a consensus, energypress has been informed. They plan to meet with officials of the main power utility PPC, which dominates the retail market, over the next few days, to explore safety measures that can be implemented. Without a doubt, PPC will set as a condition a measure prohibiting customers with outstanding electricity bills at one electricity retailer from moving to another company, if it is to join the information sharing network. PPC, currently owed about two billion euros in unpaid overdue electricity bills, has already requested such a restrictive measure from RAE, the Regulatory Authority for Energy. The larger independent retailers reportedly have no objections to the implementation of this prohibitive measure, if it is legally feasible, and would even accept a revision to the sector’s code of regulations. Larger independent electricity retailers have already adopted company policies of refusing to accept new customers already owing electricity bill amounts to PPC and other suppliers in a bid to avoid taking on unreliable consumers. When RAE was preparing the current code of regulations, established in 2011, the authority had proposed an information sharing system, which had been forwarded for public consultation. The plan, however, was not well received and prompted considerable disagreement between rival companies. RAE will have the final say on the latest effort for the introduction of an information sharing sytem. Certain officials within RAE’s ranks are believed to not favor a plan that would prohibit consumers with outstanding electricity bills from switching companies, as this contradicts the definition of a free market. These critics also argue that PPC, for a considerable period, had tolerated the growing level of unpaid electricity bills owed by consumers, and, moreover, possesses the legal means to pursue consumers who may switch to any rival electricity supplier. According to these critics, no revisions should be made to the existing code of regulations.